Best Deal At Lowest Rate! Gold Coin with every booking...!!! Kolte Patil Life Republic is a residential township crafted by Kolte Patil Developers in Hinjewadi, Pune. The project offers well designed 1BHK, 2BHK, 3BHK apartments, 3BHK and 4 BHK independent villas. It is a multi use project boasting both residential and exclusive commercial spaces. This project is a hot choice for the residents not only due to its outstanding architecture, international standard amenities and reliability also due to its prime location that makes it even more desirable. So, grab this opportunity and book your apartment today. Hinjewadi is in the western suburb of Pune, located just 40 KM from the city. An acclaimed commercial zone of the city is located off the NH 4 Bypass to the west of the city thereby, providing superlative connectivity benefits to its residents. The locality is blessed to have a lush green backdrop and great infrastructure. Additionally, the proximity to Rajiv Gandhi Infotech Park has been a bliss for the locality's residential market because of the presence of reputed IT and other companies. Pune's real estate market has been on a rise with the organized realty landscape and world-class construction. A strategically located city with a beautiful weather all year long, Pune is among the most sought after cities for realty investments. This demand is due to some of the influencing factors including swift connectivity, ferrous infrastructure, availability of reputed companies, upgraded civic utilities and improved socio -economic conditions. These ongoing developments have gained the attention of both potential homebuyers and developers to invest in the city's real estate sector. What is the location of Kolte Patil Life Republic?The location of the project is Hinjewadi, Pune. What is the area of apartments in Kolte Patil Life Republic? The area of apartments offered in the project ranges from 366.0 sqft to 1614.0 sqft. What is total area of 1 bhk in Kolte Patil Life Republic? 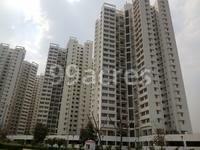 1 BHK unit in the project are available in an area of 366.0 sqft to 452.0 sqft. What is the 2 bedroom size in Kolte Patil Life Republic? 2 BHK units in the project are available in a size of 530.0 sqft to 839.0 sqft. How much is area of 3bhk in Kolte Patil Life Republic? The size of 3BHK units in the project is 1594.0 sqft. What is the area of 4 bhk in Kolte Patil Life Republic?  The size of 4BHK units in the project is 1614.0 sqft. I recently booked a Flat in Life republic hinjewadi and gave the 20 % of the agreement value in the month of may. Due to this RERA and GST they delayed my registration process. Due to this GST my agreemeent value increased by a Lakh. Now looking at the possession time of the property and the increased prices I am thinking to not invest in this property anymore. Since I have to wait for 3 years for possession and they are not committing that they will give the keys exactly on 2020 . So there is a chance that possession might be delayed. This is the reason I don't wan to invest in this property anymore.It feels like I am in a huge loss. Now That I asked for the cancellation they are saying that they will deduct the 10 % of the amount which I have given them. This 10% is a very big amount . I am not sure whether there is any rule mentioned in the RERA about this .If any one knows about the RERA rules please let me know so that I can claim my entire amount . RERA was effective from 1 May and I gave the 20% amount in April. Now these people are saying that there is clause in RERA in which they can deduct the booking amount upto 1 lakh. Does Life Republic always tells to wait for min 3 years for possession? I am looking for 1100sqft 2/3BHK for myself. Any Solid Waste Management plant is marked near to Life Republic? Is it worth waiting for Life Republic or any good options within 60-70 Lacs? Looking for Wakad-Hinjewadi area. I want to book within 6-8 months with bank loan. Looking for ready/nearing possession and in big community near to Wakad area. Preferably a well known developer project. Looking for bigger rooms than big terraces. Connectivity to Hinjewadi should be excellent. Expected market rates dipping further..